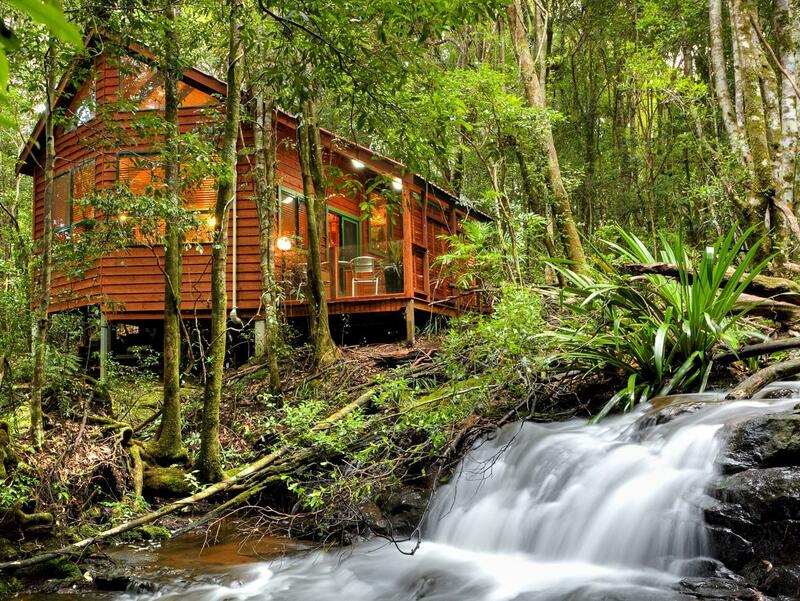 سواءً كنت مسافراً بغرض السياحة أو العمل, The Mouses House Rainforest Retreat هو خيار عظيم للإقامة خلال زيارتك أراضي ساحل الذهب الداخلية. يقع مركز المدينة المثير على بعد 30 km فقط. يوفر الفندق بفضل موقعة الجيد وصولاً سهلاً إلى أهم معالم المدينة.
. يعمل The Mouses House Rainforest Retreat على ضمان إقامة مريحة لضيوفه من خلال خدماته الممتازة وحسن ضيافته. يقدم هذا الفندق العديد من الخدمات الكفيلة بإرضاء أكثر الضيوف تطلباً. في The Mouses House Rainforest Retreat غرف نوم يزيد عددها عن 12 صممت بذوق وعناية لتوفر لك كل وسائل الراحة . بعضها يحتوي أضاً على تلفزيون بشاشة مسطحة, اتصال لاسلكي بشبكة الإنترنت (مجاني), حوض الاسترخاء, غرف لغير المدخنين, مكيف هواء. إن حوض استحمام ساخن, ساونا, حمام سباحة خارجي, سبا, ملعب تنس هو المكان الأمثل في الفندق للاسترخاء وتفريغ طاقتك بعد نهار طويل. 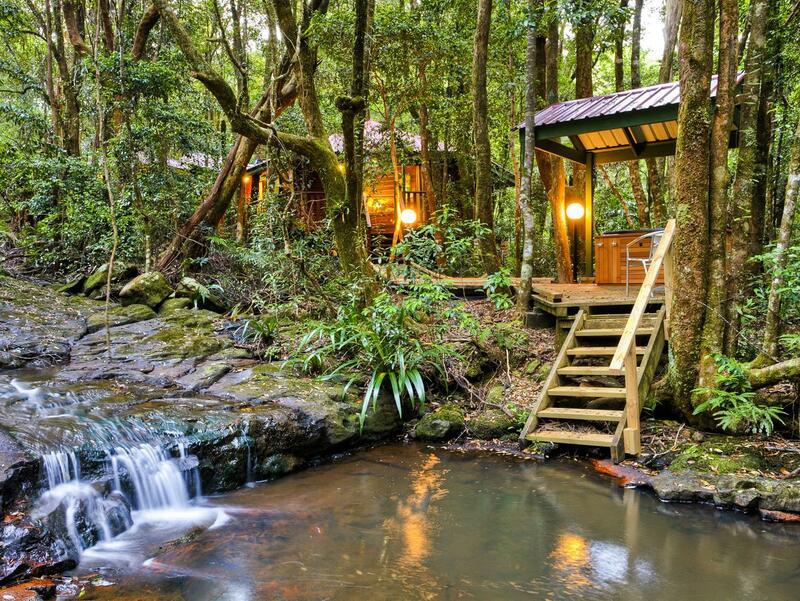 يحظى فندق The Mouses House Rainforest Retreat بموقع ممتاز وخدمات يصعب منافستها. We stayed in Bashful Hut. Couldn't get any closer to the beautiful natural spring running down by the room. Room set up great with all cooking facilities and spa with great view of surrounding rain forrest. Loved firing up the fire place every night. Very Romantic place. springbrook great place to explore also. We stayed 2 nights in Sneezy Chalet and enjoyed it immensely. Great location nestled in the middle of the rainforest, very peaceful environment, and an extremely comfortable cabin with all the amenities. Lovely place but do note that there is limited F&B offerings nearby so do bring your own food! It wasn't long enough, super relaxing. Great location. We will be back for longer next time. The motorised bikes are a must try to go exploring. Amazing retreat with great facilities, location and staff. Me and my mom stay in Bashful house for 2 days 1 night. There is a small river in front our house. My mom love this place very much, especially the big fat mouse visit us during BBQ dinner time! The hotel is wonderful, clean, comfortable and full kitchen equipment. They also provide a Jacuzzi inside the room. Overall is good, will go back to this place again for my next visit to Gold Coast. Amazing!!! Breath taking waterfall outside our door! A lovely functional luxury room! 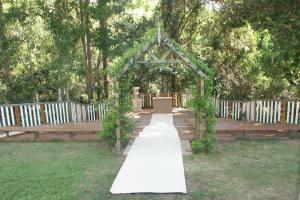 Beautiful cabin with all modern conveniences, beautiful location! Full size kitchen & sunken spa over looking the rain forest, we had a fantastic & relaxing stay! Great location for a romantic getaway! Escape from city, staying in rainforest that provide opportunity to our children very close to nature. Wildlife like possum, turkey visit us everyday. Very enjoy with fireplace, timber chalet with 5 stars hotel facilities. It was amazing! We couldn't get over how wonderful our stay was. We loved having free movies as well. A lot of them are new releases too. There are videos showing how to operate things in the chalet (e.g. how to watch movies on the Playstation 3 and how to use the fireplace) which I find very helpful and friendly. I will definitely recommend it to friends and family. The Mouses House was a fantastic and awesome place. There were 5 of us staying in Sleepy chalet and is my first time staying in a rainforest. The concept is fantastic, the chalet beautifully designed with countryside theme. I love how the owners paid attention to every detail in the furnishing and the jacuzzi with big wide windows facing the rainforest was too cool. At night, the possums roam freely. It is an amazing experience for me and I will return if i have the chance. Amazing location, excellent facilities,Stunning, quaint and secluded Chalets. Our recent stay was faultless.Location in Hinterland stunning with amazing nearby walks.Chalet was beautiful with all mod cons and fire place.Stream running past Chalet a treat.Very comfy dark room.Interior fantastic. Fantastic - I would recommend the Mouses House to anyone who was looking for a relaxing, private space. Lots of places to walk to and enjoy the superb rainforest environment. Friendly and attentive staff. High quality fixtures and facilities - altogether a very relaxing experience. PS - they a have a superb collection of wines for sale at very reasonable prices. cosy cottage in the middle of ancient rainforest. completed with spa bath for 2 and fireplace that actually uses real wood and works! a possum and a turkey bird visited or cottage. fantastic place!